Anyone that knows me will know of my slight obsession with Penguins, I love the little guys so it was inevitable that The Christmas Penguin would be coming home with me at some point. This cute bubble bar has been sat in my basket of lushness for quite some time because I couldn't bring myself to break its head off. Soon the need of a hot bubble bath over ruled that of keeping the penguin intact so off his head came. 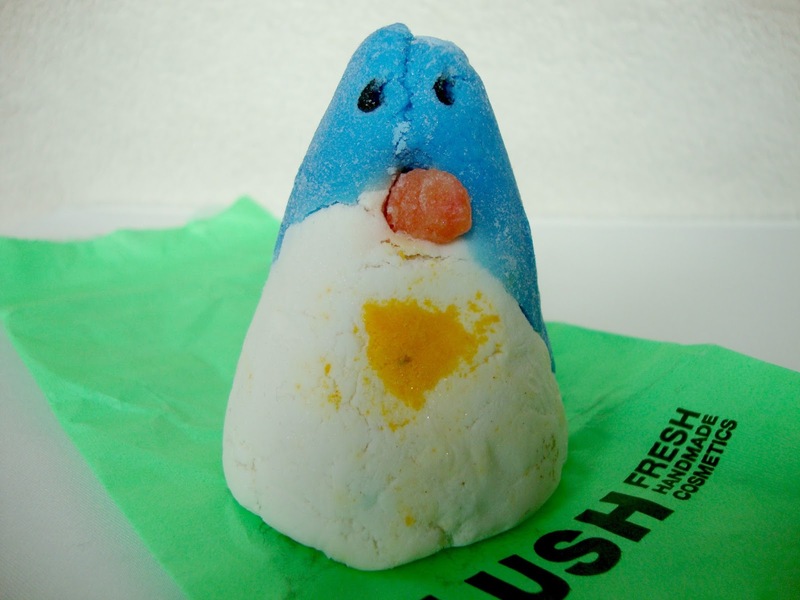 The Christmas Penguin smells so refreshing and could bring an uplifting mood out of even the grumpiest person. With orange flower, Sicilian mandarin and lemon oils it really does smell amazing. The smallest chunk makes the biggest, softest bubbles and turns the bath a pale blue colour. It also leaves my skin feeling moisturised and soft. I've managed to get four very bubbly bubble baths out of this penguin which I thought was pretty good for £3.25. Have you tried The Christmas Penguin? What did you think? I love the penguin bubble bar! I had so many of these last year and I loved them! This is really cute.....it's a shame its head had to come off in the end. i think it's a great price and specially when you was able to have 4 bubble baths out of it... i think this is a must try.